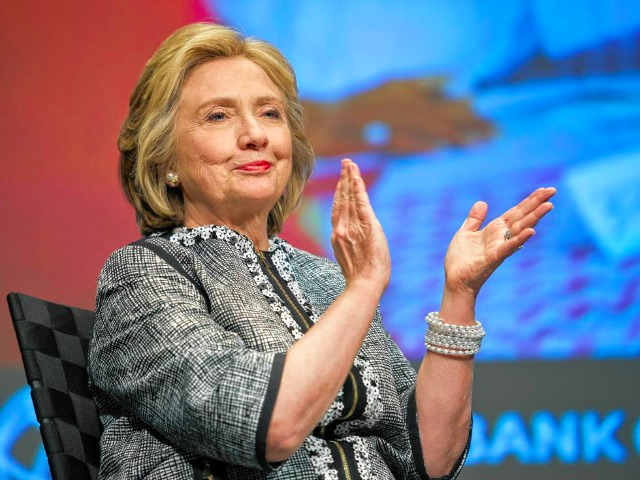 Immigration activists are slamming former Secretary of State Hillary Clinton for her answer about President Barack Obama’s executive amnesty delay, contrasting it with socialist Sen. Bernie Sanders’ (I-VT) rejection of the delay. A video released Sunday by the pro-amnesty group Dream Action Coalition highlighted Clinton’s response over the weekend to immigration activists at the Harkin Steak Fry in Iowa. The group’s video continues to highlight the response from Sanders — who is also considering a run for president — to the same question. The Dream Action Coalition, in its video, follows Sanders’ comments up by charging Clinton is only about politics. “Hillary is about politics and her party. Not families,” the text in the video reads. Last week the White House promised Hispanic lawmakers that Obama would take executive action on immigration by the end of the year.